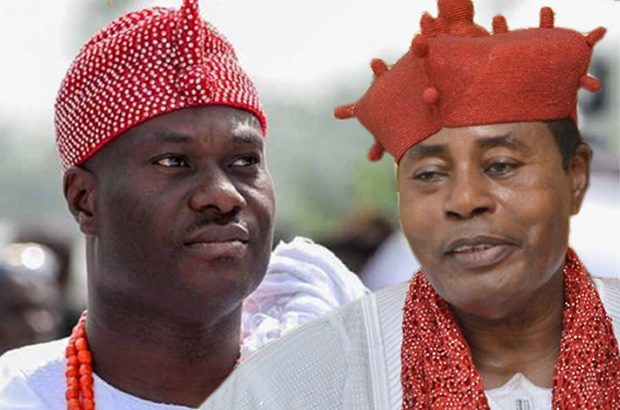 There is an ongoing battle of supremacy between the Ooni of Ife, Oba Adeyeye Ogunwusi, and Olugbo of Ugbo, Oba Obateru Akinruntan, over which throne is the monarchical seat of power in Yorubaland and the origin of Oduduwa, the so-called progenitor of Yoruba people. Oba Akinruntan also attacked the Ooni of Ife for describing Moremi Ajasoro as a heroine. The Ugbo monarch disagreed with the Ooni, who described Moremi as a goddess and recently built a 42-foot statue in her honour.To the Ondo monarch, Moremi was a traitor who betrayed her husband, Osangangan Obamakin.